All about Denmark is your comprehensive guide to life in Denmark. It has been created by Spousecare, and whether you have just arrived in Denmark or have been living here for years, this blog contains useful information for you. You can find all the information about getting settled and about daily life in Denmark on this blog. In Spousecare we conduct workshops every week. This interview is from a workshop Anette Pilmark and Sys Vecht did for Nykøbing Falster Sygehus. From March 2015 we offer our clients the opportunity to get a CQ assessment! What is CQ (Cultural Intelligence)? CQ is a person’s capability to function effectively in a variety of cultural contexts – both internationally and domestically. Diverse teams are known for higher performance! However, this is only true, when the team members have a high cultural intelligence to get the most out of the teamwork! CQ training and assessments are being used in numerous contexts, such as leadership development programmes, as a recruitment tool, to improve team performance and development as well as individual assessments. Spousecare collaborates with The Cultural Intelligence Center (CQC) in Michigan, who is the leading world experts on CQ. Contact us to make an appointment to get a CQ assessment and receive personal feedback on how to improve your personal CQ or the CQ of your team. More than 80% of the mentees in our IBMP Mentoring programme have found work. Download the final report here! Together with DEA we have carried out the largest survey among accompanying spouses of highly qualified specialists in Denmark to understand how well the Danish labor market and welfare state fulfill their needs. Download the survey and see the results! Read an article about our mentorprogramme IBMP here. Read an article about the Expat Fair here. February 2013 – First class starts 12 March! If you are looking to pursue your career sign up to be a mentee in our international business mentoring programme, IBMP. For the first time ever we are organizing a Spouse Career Fair in Copenhagen on 15 November 2012. The fair will take place at Hotel Marriott. You can read more on our website www.spousecareerfair.dk and you can also download our advice about how to have success at job fairs. Spousecare is delighted to announce our involvement with the Copenhagen Expat Fair at Copenhagen city Hall for the third year running. Danske Bank is this year’s main sponsor. Click here to download the invitation. ‘How to retain skilled foreign workers’ is a topic of constant discussion in Denmark which has led to Danes asking themselves some major questions about how they are viewed by newcomers. 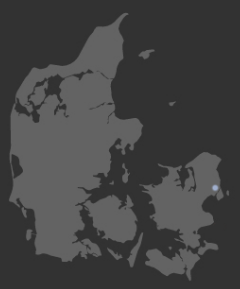 Many seminars propagate the view that Danes are seen as cold or even weird. In this edition of Speakers Corner, Spousecare founder Anette Pilmark debates if this perception is really accurate. Click here to read the full article. Spousecare has made welcoming materials for the accompanying partners and spouses of the universites and Vestas. In 2011 we are having courses all over Denmark for the target group amongst other things about working culture, job search and start of own business. The project is supported by the national labour market authority “Arbejdsmarkedsstyrelsen”. Anette Pilmark from Spousecare is invited as guest speaker at International community’s network meeting in Aarhus about efforts for the accompanying spouses/partners. Together with Rudersdal, Lyngby-Taarbæk and Frederiksberg municipalities and the company MoreThanRelocation Spousecare is the leading coordinator in an exiting project that will run through 2011. The project will support the 3 municipalities desire for a better welcome and integration of non-Danish-speaking citizens. The project is funded by the Ministry of Integration. It has been a Spousecare idea and wish for a long time to set up at fair where expats and their families can meet the clubs and associations. We are convinced that when people meet through common interests then language and cultural differences are no longer important. We are exited to make this event and look forward to see as many expats as possible at the Copenhagen City Hall on Monday, 4 October. At Spousecare we are not afraid to try something new. Our latest event with Bollywood dancing on May 29 was a great succes showing there it is possible to have events for both Danes and Expats to enjoy themselves together. We continue the succes on June 26 and after Summer once a month.